Thank you for your support during this difficult time. Please enhance this tribute to Herman by adding your memories and photos. 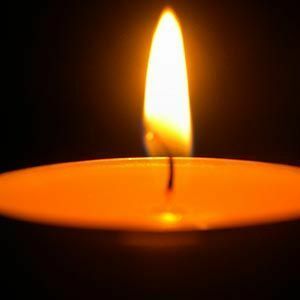 Herman Baer Speissegger, Jr., 93, of Charleston, South Carolina, husband of Mary Lynne Rhodemyre Speissegger entered into eternal rest Sunday, April 7, 2019. The family will receive friends Wednesday, April 10, 2019 at 102 Murray Boulevard, Charleston from 4:00 p.m. until 6:00 p.m. Services will be private. Arrangements by J. Henry Stuhr, Inc. Downtown Chapel. Herman was born April 26, 1925, son of the late Hermon B. Speissegger, Sr. and Mae Abercrombie Speissegger. He was a veteran of the United States Navy. He was a graduate of Clemson University where he received a Bachelor's Degree in Electrical Engineering. Herman retired from SCE&G after 35 years as Group Vice President of Commercial Operations. His activities included: President of SCANA Association of Investors, Director of First Financial Holdings, President of South Carolina Professional Engineers, President of Patriots Point Naval and Maritime Museum Fund, Chairman of the South Carolina Board of Engineering Registration for Professional Engineers and Land Surveyors, Carolina Yacht Club, Charleston Club, Sea Island Yacht Club, Hibernian Society, St. Andrew's Society, Agricultural Society, and Deacon of First (Scots) Presbyterian Church. Surviving is his devoted wife, Mary Lynne of Charleston; two daughters: Melissa Mills and her husband Ladson Mills III and Heidi Whaley (John, deceased); four grandchildren: Ladson Mills IV, Sterling Mills, Mary Legare Whaley, and Seabrook Whaley. In lieu of flowers, memorials may be made to First (Scots) Presbyterian Church, 53 Meeting Street, Charleston, SC 29403. I was so sorry to hear Mr. Speissegger had died. I know it is a very sad time. He was a wonderful friend of the family throughout our lives. We all had so much fun together and share so many wonderful memories. Your father loved you very much. You will carry that with you for the rest of your lives. Heidi, I am so sorry to hear about the passing of your father. I hope you, Mary Legare and Seabrook find comfort in knowing his was a life well lived. Life Stories provides friends and families a forum to post their favorite stories and memories of Herman Baer Speissegger, Jr ensuring the precious experiences are never forgotten. Share joyful times, post a photo that captures the moments you cherish, and allow others to reply, relive and remember.